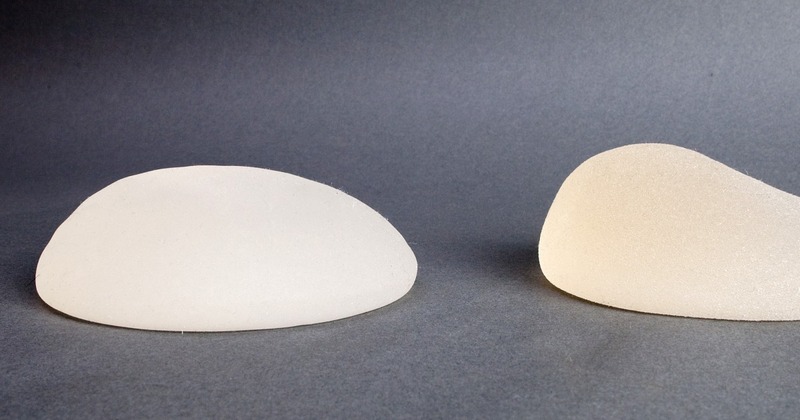 The Food and Drug Administration is reviewing the safety of breast implants used by millions of American women at a two-day hearing about their long-term potential health effects. The FDA meeting included plastic surgeons, breast implant makers, and gut-wrenching personal stories from women who blame multiple health problems on their breast implants. That includes a type of cancer, called breast implant associated anaplastic large cell lymphoma. Breast implant associated anaplastic large cell lymphoma, BIA-ALCL, is a cancer of the immune system that grows in the scar tissue surrounding the breast implant. Doctors have diagnosed 457 women in the U.S. with BIA-ALCL. Removing that scar tissue and the implant generally cures the cancer if caught early enough. But 17 women worldwide have died with the disease. All of the cases have been linked to textured breast implants, not the smooth implants more commonly used in the U.S. About 12 percent of women with breast implants in the U.S. have textured implants. Doctors say BIA-ALCL patients generally develop symptoms, like sudden breast enlargement, many years after they first get implants. It was six years before Dawn Criss of Alberta, Canada said she developed worrisome symptoms. She told the FDA panel she suffered from chronic fatigue, unexplained rash and itching, massive hair loss, and intestinal issues. Her left breast swelled to twice its size. She was later diagnosed with BIA-ALCL. Criss and other patients said plastic surgeons had talked with them about risks associated with breast implant surgery, but never the implants themselves. “I was blindsided,” said Jennifer Cook of Georgia. She told the FDA doctors offered no warning about the possibility of cancer when she first got her implants. She was diagnosed with BIA-ALCL in 2017. There was wide agreement at the meeting for the need for better surveillance of breast implant problems. Earlier this month, FDA commissioner Dr. Scott Gottlieb and Dr. Jeff Shuren of the Center for Devices and Radiological Health, released a statement on breast implant safety, addressing the need for breast implant registries to follow patients with BIA-ALCL. And the U.S. National Breast Implant Registry is expected to launch July 1, according to Dr. Andrea Pusic, speaking to the FDA on behalf of the Plastic Surgery Foundation. Breast augmentation is the most popular form of cosmetic surgery in the U.S., with over 300,000 women undergoing the procedure each year, according to the American Society of Plastic Surgeons. Another 100,000 women undergo breast reconstruction after mastectomy. The risk for developing breast implant associated anaplastic large cell lymphoma is not clear. The Food and Drug Administration says it may be as frequent as one in 3,000 patients. But research done in Australia suggests the risk is much higher — one in 1,000. There are now 457 women in the U.S. diagnosed with BIA-ALCL. There have been more than 600 cases of BIA-ALCL, a cancer of the immune system, reported worldwide. Dr. Vu Nguyen, program director for the residency surgery in plastic surgery at the University of Pittsburgh Medical Center Magee-Womens Hospital, said that while breast implants are generally quite safe, it’s crucial patients are well informed of potential risks before surgery. “Many patients, particularly [those undergoing reconstruction after a mastectomy to treat breast cancer] find it very difficult to choose a method of reconstruction that even has a very small and rare risk of developing yet another cancer,” Nguyen said. Nguyen told NBC News he stopped using textured implants because of their link to BIA-ALCL. Scientific evidence proving breast implants cause these problems is lacking. But patients like Holly Davis of Charleston, South Carolina, insist some of their health problems began after receiving their implants. Davis had implants in 2002 after a prophylactic double mastectomy. She told the FDA panel that she developed memory loss that was so concerning, she talked to doctors about being tested for Alzheimer’s disease. “I thought I was aging badly,” said Davis. Doctors told her it was just stress. She and other patient advocates at the FDA meeting implored regulators and manufacturers not to dismiss their symptoms. Last week, the FDA sent warning letters to two breast implant manufacturers, Mentor and Sientra, citing their failure to conduct safety studies after approval. And in February, French authorities yanked Allergan’s textured implants off the market because of safety concerns. The FDA meeting continues Tuesday.